L’India è percepita da molti come un mercato di sviluppo dell’internazionalizzazione dalle potenzialità ancora inespresse. Le potenzialità sono percepite in relazione a vari fattori fra i quali: il numero di abitanti (oltre un miliardo e 200 milioni alla data attuale), la crescita economica nel corso degli ultimi anni (presente seppure non rimarchevole), il senso del business imprenditoriale all’interno di quella che è realmente la più grande democrazia al mondo, il fatto che l’inglese è sempre più diffusa come seconda lingua di uso corrente anche nel quotidiano. 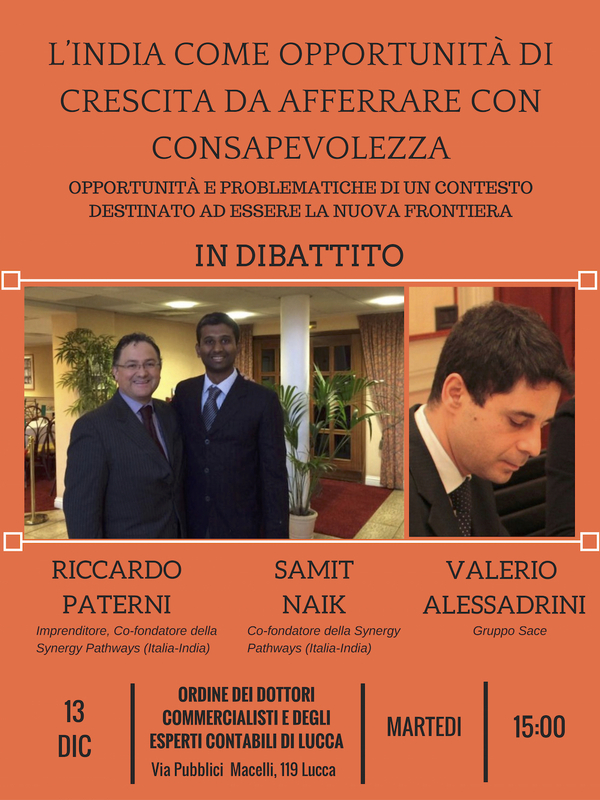 mpatto consistente in merito ad azioni di internazionalizzazione sul territorio indiano. Ciò che serve per gestire al meglio si a opportunità che barriere è un senso di consapevolezza vissuta sia da un punto di vista strategico (visione di insieme del sistema), sia da un punto di vista operativo (concretezza operativa nel quotidiano). Un incontro che si terrà a Lucca il 13 dicembre alle 15 (vedi immagini di presentazione) è volto ad approfondire in forma di dibattito proprio questi aspetti. 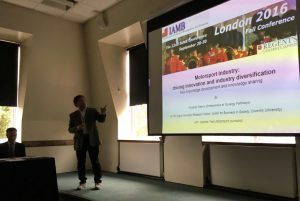 The Motorsport Industry is rapidly developing an industrial and managerial influence that goes well beyond the business of racing. This is one of the reasons why it has been introduced on 28th September 2016 at Regent’s University in London within an International Academic Conference organised by the International Academy of Management & Business (the Academy involves scholars and practitioners coming from all over the world, focusing on several research topics that are shaping the present and future of organisational and business development www.iamb.net ). Riccardo Paterni (Entrepreneur focusing on Motorsport developments at Synergy Pathways), Dr.Tim Angus (Honorary Research Fellow, Center for Business in Society, Coventry University) and Gabriele Testi (Motorsport journalist) have elaborated a presentation illustrating the relevance of the Motorsport Industry in developing knowledge, innovation and know-how that can be shared and applied across various industries. After a brief introduction relevant to the nature itself of Motorsport as a global business and to its roots historically based mainly in the UK and Italy, the presenter (Riccardo Paterni) has outlined three key concepts relevant to the Motorsport Industry: 1) the substantial amount of know-how that is dynamically produced and utilised because of a unique mix of high level of technological capital investment and highly skilled human capital; 2) the concrete understanding and implementation of innovation; 3) the systematic capability to share know how across industries. Specific case studies have illustrated the concepts. The first two case studies have featured two Italian companies deeply rooted into Motorsport. Costruzioni Meccaniche Novricom (based in Pontedera – Tuscany) and Ycom (based in Colecchio, close to Parma – Emilia Romagna). Costruzioni Meccaniche Novicrom, whom founder Iliano Parrini was a young colleague of Enzo Ferrari in Alfa Romeo well before becoming a Ferrari supplier (since the late ’60). Novicrom develops high precision machine tooling to manufacture small batches components and prototypes. Since its founding in 1947 the company invested 20% of its turnover in technology and at the same time retained a highly skilled, continuously trained, workforce which seniority goes well above 30 years. This unique mixes allowed for a transfer of applied know-how from aviation to Motorsport and from there to more sophisticated aerospace and aviation industries straightening top level presence in motorsport and automotive. 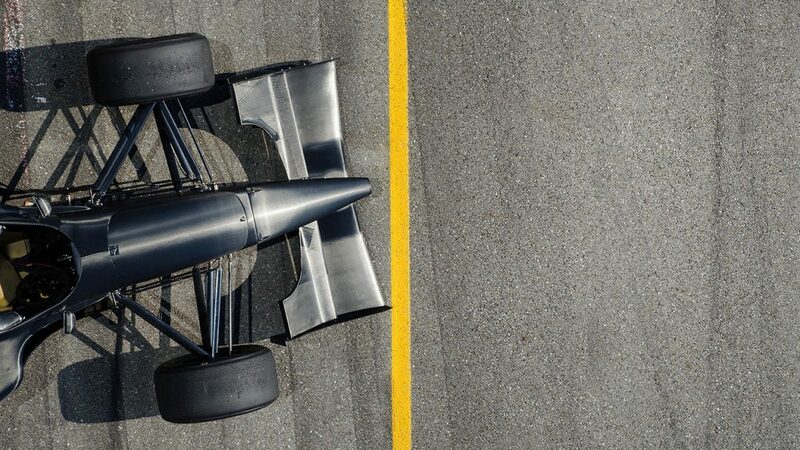 Ycom, a motorsport manufacturer focusing on the entire project innovation cycle: design, development, carbonfiber, manufacturing, testing and racing. In particular it has been pointed out the capability of the company to accelerate the timing of the innovation process – measured through the Technology Readiness Level developed by NASA – while containing budgets. To illustrate the point it has been selected the project commissioned by Lotus to Ycom relevant to the project of the GTE version of the Evora set for racing at the 24Hours of Le Mans and World Endurance Championship. The case study shows the unique overall motorsport culture driven by a passioned skilled sense of determination to develop innovation: solutions to problems, to effectively generate and sustain performance. Last but not least the case study selected to show the hight capability to share motorsport know-how across other fields. 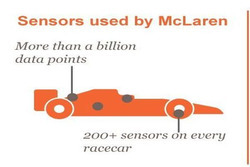 McLaren has since been since the ‘70s an innovator in utilising sensors to capture and download data from the racing car in other to elaborate them. McLaren has been one of the first motorsport companies to perceive itself as an overall technology company: the overall McLaren Technology Group concept begins from there and it has evolved since into the current McLaren Applied Technologies. 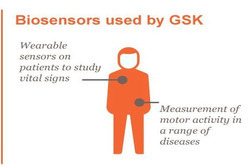 This last company has set up a partnership with the pharmaceutical corporation Glaxo Smith Klein to utilise a much evolved sensor technology to monitor, prevent and manage several health issues. A flowing know-who from tracks to the pharmaceutical industry. 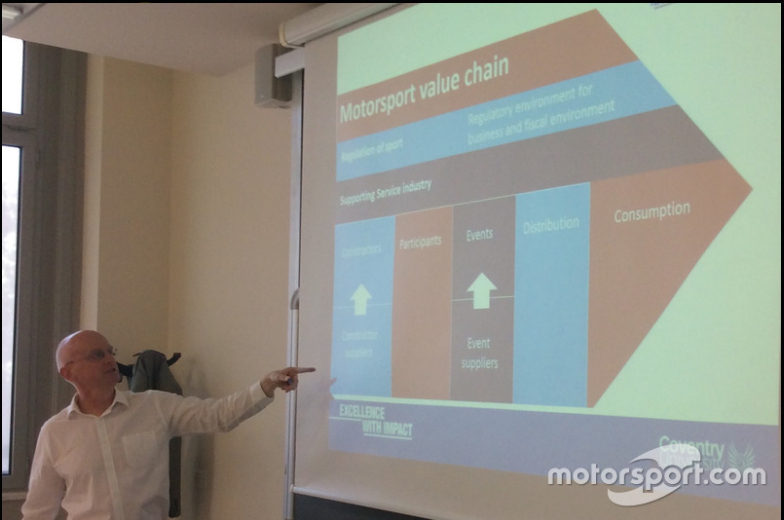 A debate has emerged with the generalist academic audience that has come to realise how the Motorsport Industry can represent concretely a conceptual and practical way to improve management and business development methods. This can represent an all new dimension of Motorsport that, no doubt, deserves to be further analysed, understood and applied. International Management Conference In London. 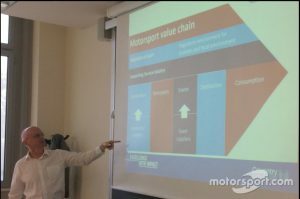 Introducing Motorsport as an inspiring and practical topic! Motorsport involves a wide international network of manufactures, related components sup- pliers, research & development activities, related paying fans (and in most cases paying dri- vers) and sponsors. These invest and leverage the global media system that for some of the championships has a strong global reach (for example Formula 1 Grand Prix are the most glo- bally followed sport taking second place only to the Soccer World Cups and the Olympics). Mo- torsport has a dimension that spreads from the local to the global in which many global automo- tive manufacturers are involved. It has a value chain that involves: constructors, participants, events, and the distribution and consumption of the sport. The total global yearly turnover for Motorsport as an industry is well above USD 50 billions (Henry et al, 2007) . Motorsports integrated complexities are what makes it a unique business ecosystem which is similar in many respects to many other business ecosystems that might be encountered within various economic fields; such complexities are generated by many variables spanning techno- logical aspects to regulation, the management of high levels of dynamic know-how and the shaping-up, development and management of often far reaching business models.Motorsport requires, by default, an extremely dynamic constantly changing environment requiring a consistent focus on efficiency (relevant to financial, technological, infrastructural, organizational and highly skilled human resources management) and, at the same time, a marked and relentless focus on on-racing-track and commercial performance. All of these characteristics make the Motorsport ecosystem a solid, concrete and at the same time continuously evolving laboratory of innovation: a laboratory in which innovation is identified and implemented in very pragmatic terms, for example, in terms of novel effective solutions to problems (racing tracks are nothing if not constant active practical and conceptual laboratories for these problems), novel products and services that are welcomed by markets. 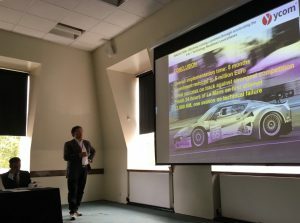 Innovation in motorsport goes well beyond the realm of technological innovation into innovation in knowledge generation, knowledge-transfer and new business models related to new industrial and commercial realities. Industry diversification, rooted in this new knowledge production , is a natural offspring of these industrial dynamics. An additional characteristic that feeds this overall system, is the presence of specific motorsport industrial clusters (geographically comprised socio-economic networks that develop and implement new knowledge) that have been characterizing parts of the industry since its beginning and are still present today (e.g. the UK’s ‘Motorsport Valley and Italy’s ‘Motor Valley’). Motorsport and its related industrial and research & development activities has become a prime example of high level knowledge development ready to be shared among other applications and industries. 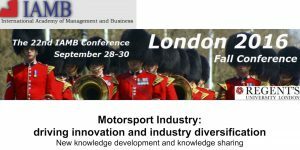 We will present case studies (Costruzioni Meccaniche Novicrom, Ycom and McLaren Applied Technologies) that represent this concept from a knowledge perspective generating far reaching business development activities by leveraging upon the constant in- novation present within motorsport. These are the ways in which McLaren Advanced Technologies and Williams Engineering are renovating the biomedical industry by utilising F1 know-how. The journalist Gabriele Testi wrote this article for the Italian Edition of motorsport.com , I contributed to write it. 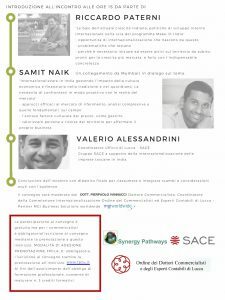 These topics will be presented an elaborated in the book fasttrackinnovation.it . Today, arguably more than ever, there is a lot of focus on novel ideas to feed start-up fast growth aims. All of this stimulates a stronger focus on effective entrepreneurship development. Increasingly, within our fast changing complex society, an entrepreneurial mindset, even an Entrepreneurial Society, is considered essential for people owning their company or working in one. This article from the Harvard Business Review Blog states, arguably, on why there are still actual fundamental mismatches within the current societal and regulatory framework of rules and norms vs what is concretely needed for actual progress driven by widespread entrepreneurship. In my opinion an Entrepreneurial Society, if we define it as a society in which any individual can take initiative to develop ideas in business for his/her own and a great social good, needs to be conceptually separated from the one relevant the the Financial Capitalism Society in which the idea is essentially developed ‘to make money out of money’ and basically unavoidably this has little to do with stimulating a concrete and innovative entrepreneurial spirit that nowadays is needed more than ever to improve many aspects of social and economic life by now widespread in similar fashions across the world. 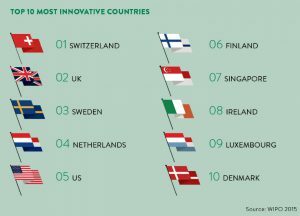 Is the Global Innovation Index actually measuring innovation? 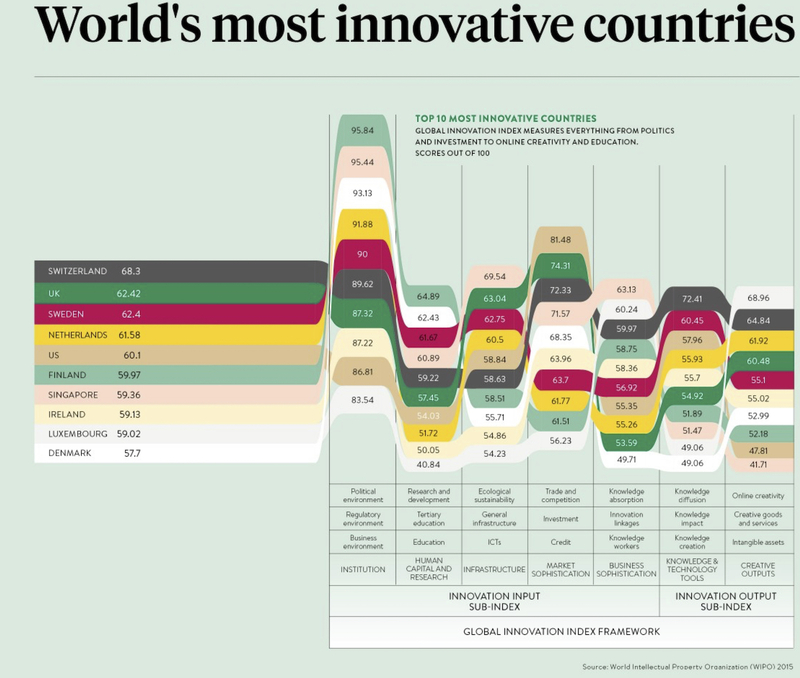 The report relevant to the 2015 Global Index Innovation has been recently published and, as always, it is quite revealing of human, societal and economic trends that ease and stimulate the expression of new ideas and solutions freeing-up expressions of creativity and at the same time reducing or eliminating barriers to such expression. 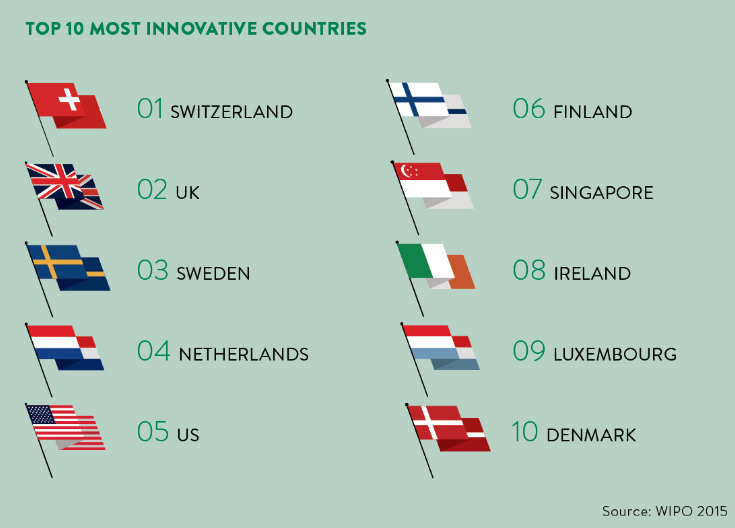 There overall index is generated by innovation input factors and innovation output ones. They spread throughout an entire array of factors that directly or indirectly have the power to boost or restrain that expression of creativity. 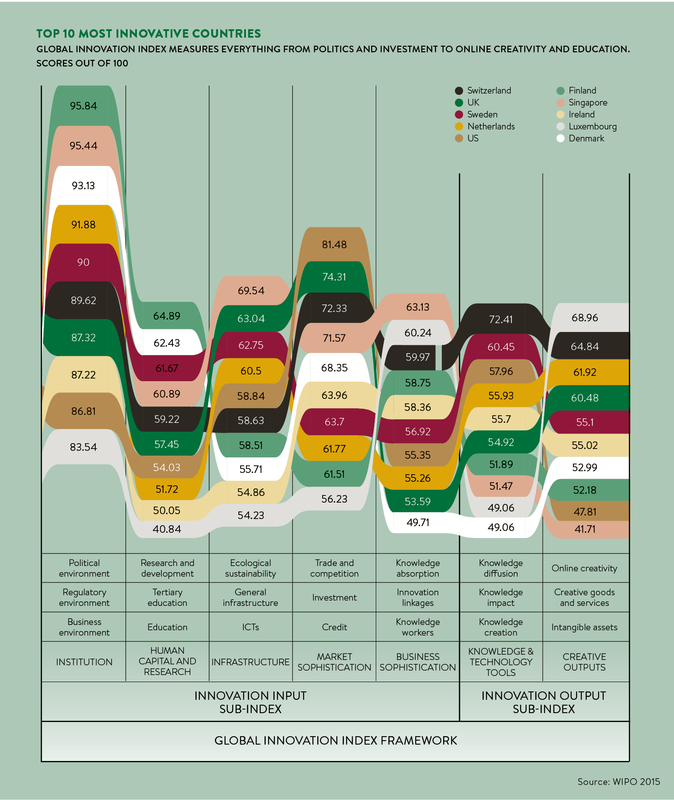 First of all, in my opinion, it needs to be pointed out that what this index measures does not fully represent what concrete innovation is in itself (an expression of creativity that solves problems effectively and/or finds affirmation on markets); rather it seem to focus on identifying an overall ecosystem that fosters the conception and development of creativity almost as an end in itself. This is a perspective that in my opinion requires further debate involving people that in actual practical terms are on the frontline to solve problems, generate effective business opportunities and/or take advantage at best of them. No matter what kind change is happening around us, it is fuelled by many different sources: technological, business development, societal, overall economic and financial and certainly also regulatory. We need to become part of this flow of change by anticipating it, synchronising with it, stimulating it in order to benefit at best from the opportunities it generates (if we are able to look at it from many perspectives) and managing at best the solutions it requires. 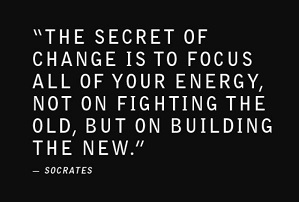 The focus on innovation development and processes represents the power of the speed we need to reach. How to reach it depends from many of the different variables that fuel change itself, yet the a mindset shift and development often represents the key aspect to that speed of change we are able to reach and handle. This article gives some interesting perspectives on these factors. When we talk about speed, change and complexities of business nowadays we are often puzzled by the many factors that affect the survival and development of small, midsize and large organisations. Technology, markets, finance, regulatory constraints, all of them represent at the same time challenges and opportunities for growth. Motorsport, by its very nature, increasingly represents a powerful concentration and integrated mix of all of these aspects and variables: it requires a keen attention to how resources are managed in an effective and efficient way within constantly changing constraints. Motorsport is also a proper industry which turnover has been marking and marks billions of euros across the globe. In addition its research & development has a direct influence on many fields that go well beyond the intuitive one of the automotive: aerospace, energy, defence, medical, high-tech consumer goods represent additional sectors in which the applied research driven by companies directly related to Formula 1 such as McLaren Applied Technologies or Williams Advanced Engineering have an increasingly relevant influence. Recently at the University of Pisa International MBA these aspects have been pointed out with a particular focus on the Motor Valley in the United Kingdom which represents a clustered and integrated source for such developing activities. 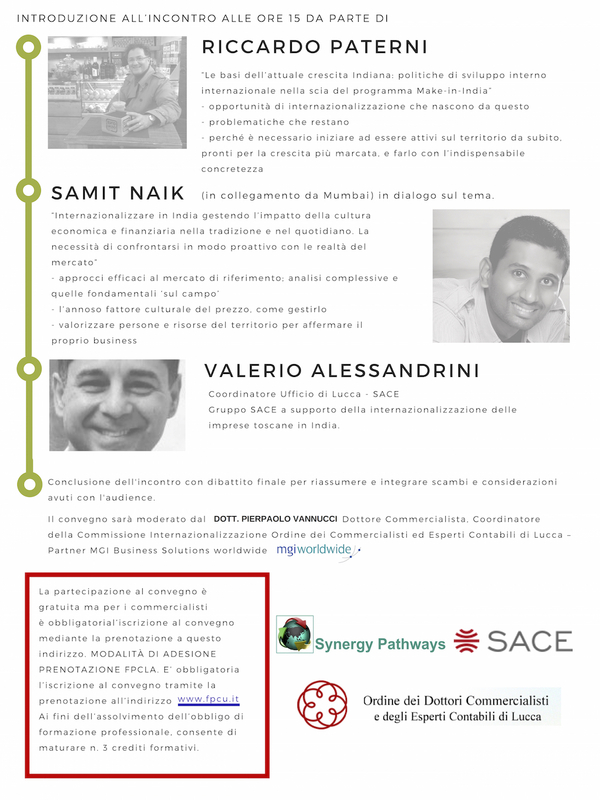 I have invited Dr.Tim Angus, from the University of Covetry, to make a presentation on such topic and it has caught the attention of the MBA participants and Italian organisations alike operating in the field and related one. 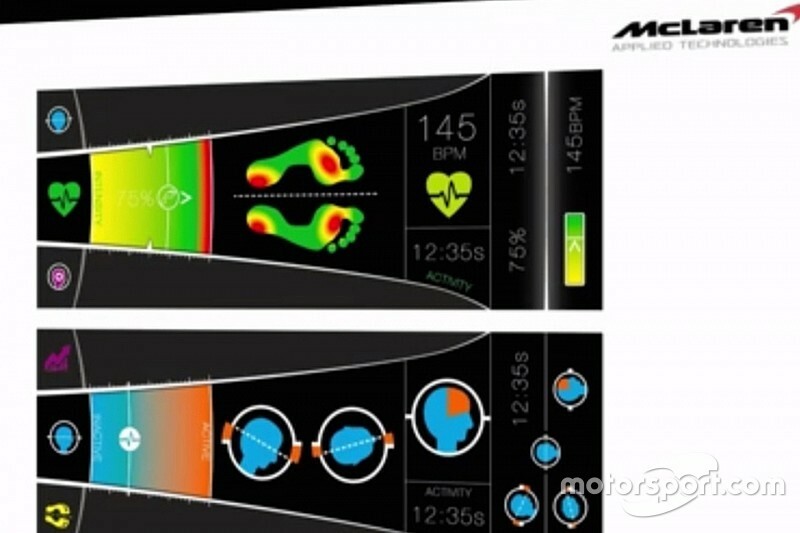 At this link an article from Motorsport.com reporting on such presentation (in Italian). A recent study published on Organizational Science and pointed out on a Fast Company article by the title “Unexpected lessons about innovation from Formula One teams” stresses that even the fast paced changing Formula One world shows that effective innovation is the one implemented in an incremental way. 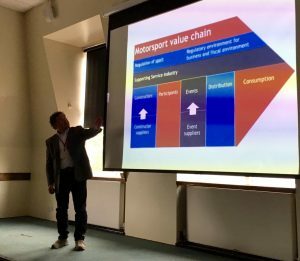 There are many factors that influence directly innovation in Formula One: regulations, technologies, financials boundaries, yet the drive to performance needs to be focused and streamlined and a study points out that the incremental application of original know-how is the most effective one. When we think about innovation (products or services solving problems or being effectively embraced by markets) we need to observe that tracing back its roots we realise that truly it is always an incremental process, a process that at times can be accelerated by technologies or fast developing know-how, yet central key roots remain set in place.